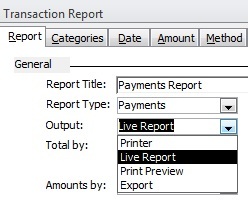 A new Output option for Reports called "Live Report". You can, in some cases, double-click a row on the report to edit the record. 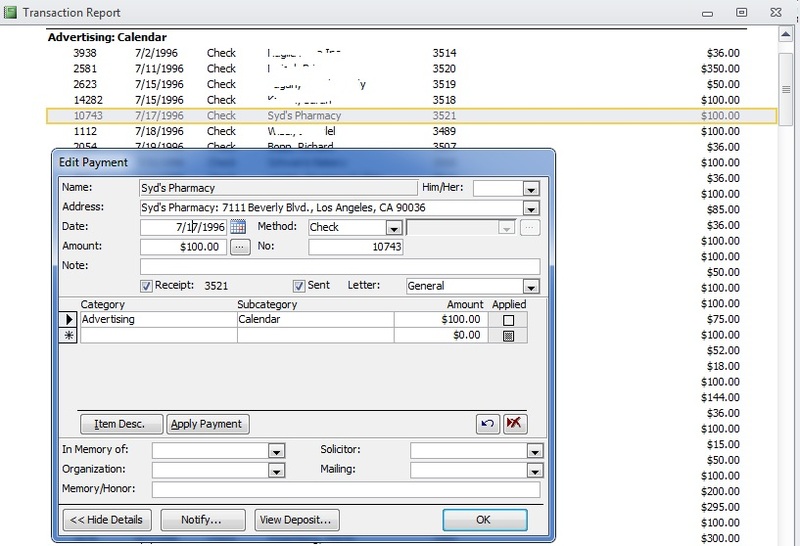 In the example image below, double-clicking on the Payment from Syd's Pharmacy within the report, brings up the Edit Payment window. Changes made to the payment update the report instantly. Output: "Screen" has been renamed to "Print Preview"